There are a lot of aspects of the traditional office that are outdated. As companies move to more digital and technological hardware systems and applications, it would make sense that things like office chairs would also get a much needed upgrade. When shopping for an entire office, what is the best bet for a manager or company owner as they seek a new chair to support and comfort employees through the busy work week? The answer is actually very easy: the MyoChair. Office chairs are where many employees spend a huge chunk of time during the work day. More importantly, an office chair is where a lot of work gets done. Not only is it the easiest way to keep workers near each other, but desk clumps allow for each employee to have their own work space. Office chairs are used everyday, but many employees note that strain and pain are huge deterrents from work, and a lot of that discomfort can come from old office chairs. Technology is not just applicable for computers. Office furniture has seen a ton of innovation as well. A great example of that progress is the work being done at Autonomous, an ecommerce retailer of office furniture and accessories. The chairs offered from Autonomous are sleek in design, comfortable, and more supportive than chairs three times their price point. 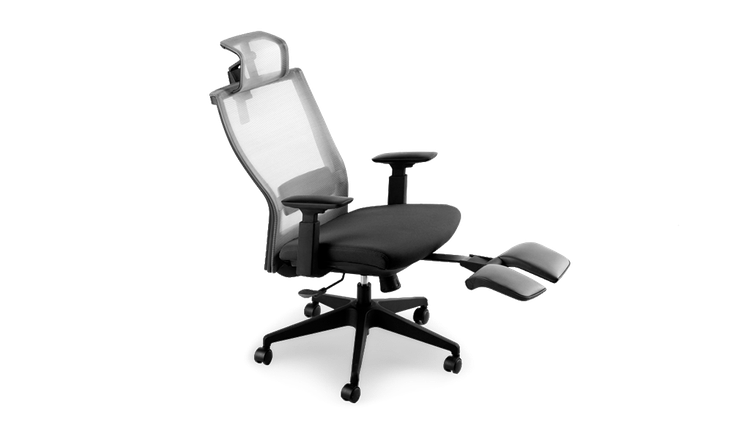 A good example of a great, ergonomic chair is the MyoChair, previously mentioned as a great option for a total office overhaul of older chairs that may be causing some serious problems for employees. It can be a bit overwhelming to consider replacing an entire company’s office chairs, but make no mistake, Autonomous designs their products with costs in mind. Executive chairs and high end ergonomic options can cost hundreds of dollars, sometimes creeping into quadruple digits. The MyoChair is an affordable option that does so much more than its competitors. For example, headrests and legrests are not often thought of as features of an office chair, but support for those two areas have been proven to help reduce the strain of sitting all day. Not to mention, the breathable mesh that comes with most Autonomous models is supportive yet lightweight, making them one of the most comfortable chairs on the market. Breathable yet ergonomically supportive for the lower back, the MyoChair is a revolutionary way to sit while spending time in the office. It is one of the best options for office chairs offered on the Autonomous website, and that’s saying something given the brand’s exemplary line of chairs and accessories. An Autonomous ergonomic office chair can truly change the productivity levels of an individual. When implemented throughout the entire office, these chairs can revolutionize the way employees work, feel, and even act. The physical ailments associated with outdated, worn down chairs are numerous, and if upgrading chairs in the office for all employees could counter those threats, it would be worth it. Add on top of that all that better, ergonomic office chairs from Autonomous are affordable and mentally stimulating thanks to the comfort and support offered in the progressive design, and it is a no brainer. Autonomous makes chairs for working professionals who want to feel as good as they possibly can at a desk job. Make the move to Autonomous office chairs and accessories to benefit from the revolutionary manufacturing taking place at one of the ecommerce retail industry’s most influential companies today.